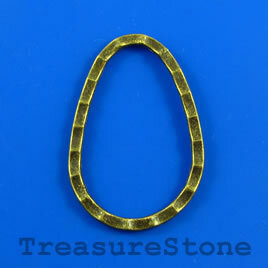 Bead/link, brass colored, 26x40mm hammered teardrop. Pkg of 2. 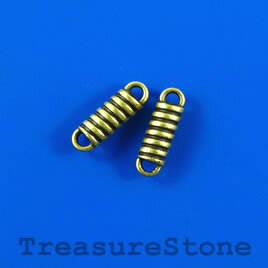 Bead/link, brass-colored, 4x14mm. Pkg of 15. Bead, Green Zebra Jasper, 16mm flat round. 16-inch strand.